Tonight’s the night! 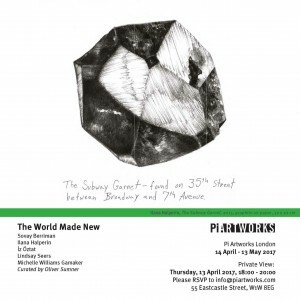 Private viewing and opening for The World Made New at Pi Artworks in Central London. Very proud to be part of Michelle Williams Gamaker’s beautiful and fascinating work, lending the voice to her enigmatic Violet Culbo. It’s on through 13 May, please come visit!